2. HOW. Answer the stated (or unspoken) question and explain exactly what you do. 3. Start with a story/humor/news/etc. 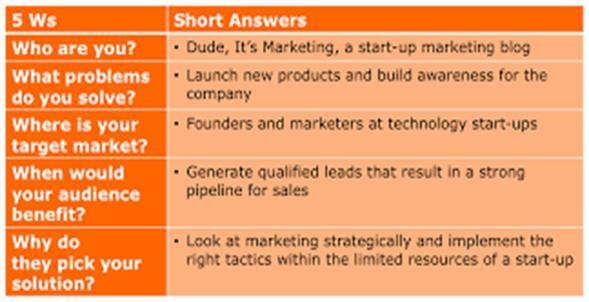 Don’t launch into your company spiel. Instead, start with something you expect to hear in a conversation: humor, a story, referring to recent news. Choose something that highlights a problem you help customers solve. 4. Add an emotional benefit statement. Say “That’s what I do.” Then summarize the RESULTS you achieve for customers. It should be an emotional benefit, not a hard-headed business benefit. 5. Quantify your success. Now you add the proof of your benefit statement, using numbers if possible. 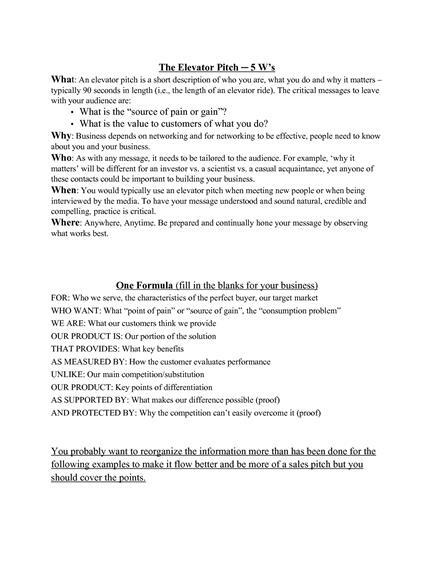 In fact, here’s a tip: write out your pitch, then take a red pen and cross out all the cliches and marketing-speak. Replace them with one-syllable words. Do you remember about 10 years ago when the space shuttle Columbia was destroyed on re-entry? It turns out the engineers tried to warn NASA about the danger. But the PowerPoint slides they used were a complete mess and no-one understood the danger. That’s what I do. I train people how to make sure their PowerPoint slides aren’t a complete disaster. For instance, students who attend my workshop can create slides that are 50% more clear and 50% more convincing by the end of the training, based on scores students give each other before and after the workshop. I’m not sure if my training could work at your company. It really depends how much you use PowerPoint and what’s at stake if your PowerPoint is unclear. But I’d be happy to talk to you about it.